♦ Offer valid through 4/24/19, in-store and online. ♦ 10% off Sale price, plus Free custom finish upgrade. ♦ Does not apply to previous orders or clearance and may not be combined with any other promotions or coupons. ♦ Some additional restrictions and exclusions may apply. 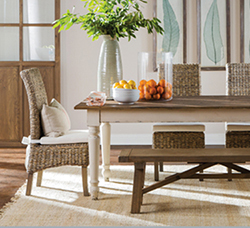 See a Design associate for details. ♦ Use code DD at checkout. ♦ Offer available in-store & online through 5/31/19. 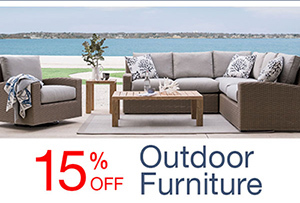 ♦ Offer valid on outdoor furniture items only. ♦ Not applicable on previous purchases, Company C, Dash & Albert, or Clearance items. ♦ May not be combined with other coupons. ♦ Use coupon code SU at checkout.